24sessions operates using webRTC to make your video meetings faster and more hassle free. In some cases the browser or preselected media can affect the quality of the meeting but there are ways to ensure a successful meeting. 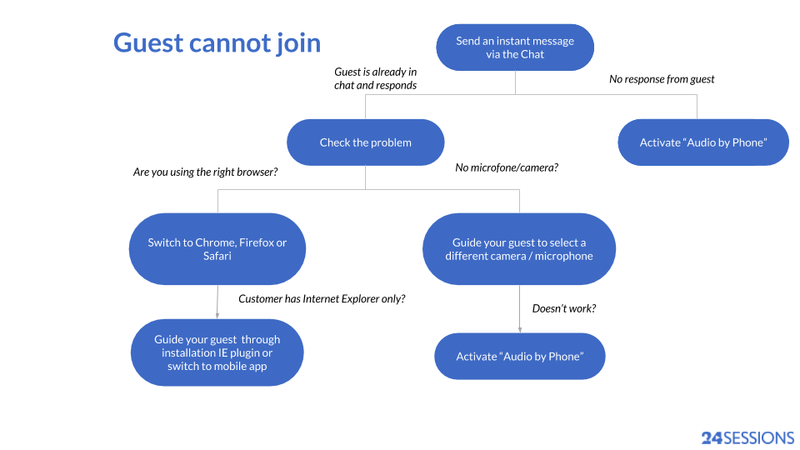 Both user (host) and guest have entered but guest cannot join the meeting and cannot be seen by user probably because there was an issue during onboarding. 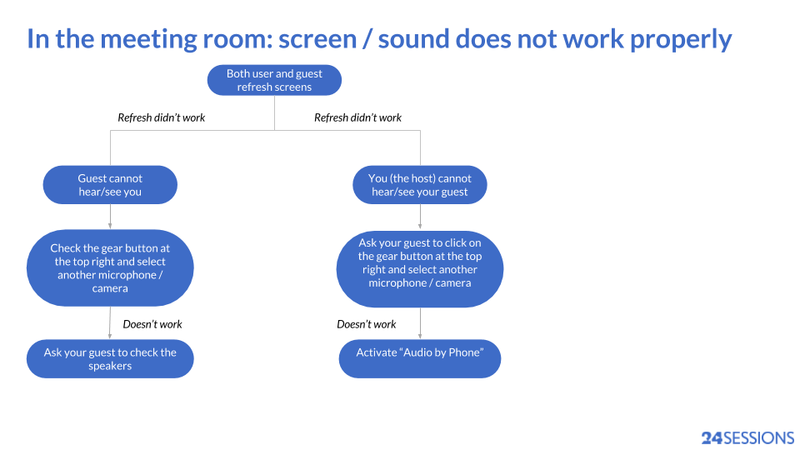 You are in the meeting but are having issues with camera and sound. Does the customer not enter the conversation? Send an instant message within 2 minutes. Are you unable to solve the problem or do you not hear anything? Then immediately use the ‘Audio by Phone’ function to still be able to contact the customer as soon as possible! ‘Audio by Phone’ can be found in the right-hand column in your screen under screen sharing. The gear button at the top right of the screen helps you complete a system check and select a different camera, microphone, etc.